Before assuming his current position as Afghanistan’s national security adviser, Hamdullah Mohib was his country’s ambassador to the US. On March 14, while speaking to reporters in the city where he previously served as Afghanistan’s top diplomat in America, he made some decidedly undiplomatic remarks. Mohib’s comments — and the spat that immediately ensued between Kabul and Washington — underscore the anger harbored by Afghan officials about the direction of US policy in Afghanistan. And they raise troubling questions for Washington as it pursues a deal with the Taliban that would enable America to extricate itself from a long, endless war. This is not the first time in recent years that US policy in Afghanistan has sparked anger within the Afghan government. During the latter years of Hamid Karzai’s term, which ended in 2014, there was frequent friction between Kabul and the Obama administration. There were even reports of shouting matches between Karzai and senior US officials. These tensions had various triggers, from personality disputes to unhappiness about the actions of US troops. In the waning days of his term, Karzai even refused to sign a bilateral security agreement that was required to maintain the US military presence in Afghanistan (his successor, Ashraf Ghani, signed it soon after he took office). Still, the current crisis is serious business — less because of what Mohib said, and more because of the policy implications of his tirade. Above all, his comments crystallize the understandable frustration of Kabul about being shut out of its own peace process. Given US President Donald Trump’s eagerness to get a deal that gives him cover for a withdrawal from Afghanistan, excluding Kabul from talks actually makes good sense for America. Given US President Donald Trump’s eagerness to get a deal that gives him cover for a withdrawal from Afghanistan, excluding Kabul from talks actually makes good sense for America. This is because the insurgents have repeatedly insisted that a peace process can only move forward after they reach an agreement with Washington on a troop-withdrawal plan, which is a discussion, Taliban officials say, that cannot include Afghan officials. Because of Washington’s limited leverage — the Taliban’s strong battlefield performance means that, unlike America, it is in no hurry to negotiate, much less conclude, a deal — there is little US officials can do to change the Taliban’s mind. Consequently, Kabul has literally been left on the outside looking in. On several occasions in recent weeks, senior Afghan officials, including Mohib, have come to the hotels where the US-Taliban talks have been taking place, only to not be allowed into the rooms where negotiations were happening. One cannot blame Kabul for being so unhappy about getting written out of the script of its own reconciliation process. This unhappiness, one can assume, will intensify the longer the US-Taliban talks continue, potentially putting US-Afghanistan relations on a collision course at a very delicate moment. Indeed, Afghanistan is looking at a perfect storm. Even amid the US-Taliban talks, the insurgents continue to fight — and the spring fighting season, which means intensified Taliban violence, is fast approaching. Meanwhile, divisions between Ghani and his political rivals, both inside and outside the national unity government (one that is united only in name), continue to deepen. And a critical presidential election, already postponed, has just been delayed again, this time until September. This is the worst time for Kabul’s relations with its critical US partner to go south. Ironically, one of the best possible outcomes for Washington — an agreement with the Taliban — could provoke a major political crisis in Afghanistan. In the event that a deal is agreed that involves the departure of US troops, which is something with enormous implications for Afghanistan’s stability, an incensed Kabul might well refuse to participate in subsequent efforts to craft a political settlement. The Taliban has always said it would agree to negotiate a post-war political arrangement with the government. This is not to say that America should stop talking to the Taliban unless Kabul is brought on board. 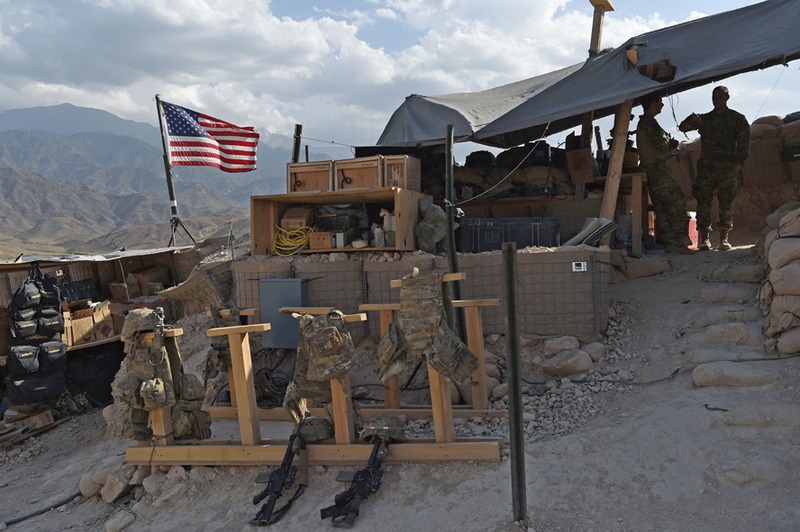 Washington, which wants out of Afghanistan, has no choice but to stay the course and keep talking. Still, Mohib’s angry critique hints at a sobering reality: Washington’s best policy option in Afghanistan risks exacerbating the very instability that the US has unsuccessfully sought to reduce for nearly two decades. • Michael Kugelman is deputy director of the Asia Program and senior associate for South Asia at the Woodrow Wilson International Center for Scholars.